The MAP stands for My Action Plan. Your MAP is a guide for your future and its goal is to give you clear direction. It will incorporate much of the information you’ve gained in The Gifted Journey Book. The key to your MAP is that it’s actionable. It requires your initiative and energy to make it realistic and to ultimately get you on your right path pointed toward your vision. 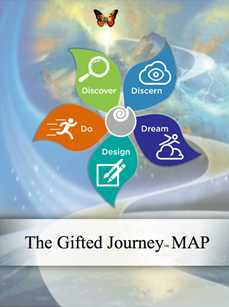 To receive your free copy of The Gifted Journey MAP, please provide your contact information here.